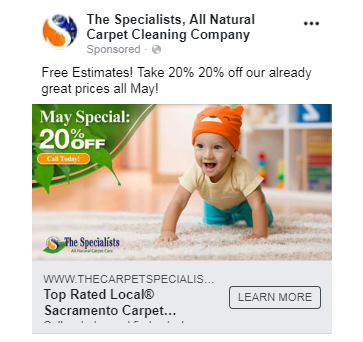 Do you want to run Facebook Ads for your carpet cleaning business? Here are some examples and tips. You have a clear goal and focused message. The ads have a human element. You keep the text short and minimize it on images. You appeal to people’s emotions instead of describing the features of your service. You help people visualize the problem or solution. Here are some Facebook ads we designed for Marketing 360® that worked well for lead generation. Let’s break down why they worked. 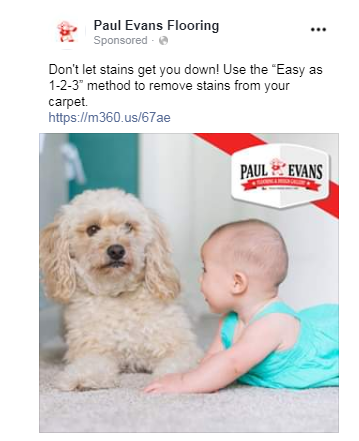 Now, let’s also look at a couple of Facebook ads for carpet cleaners that didn’t work so well. Lack of human appeal. No people in the images. No emotional appeal. 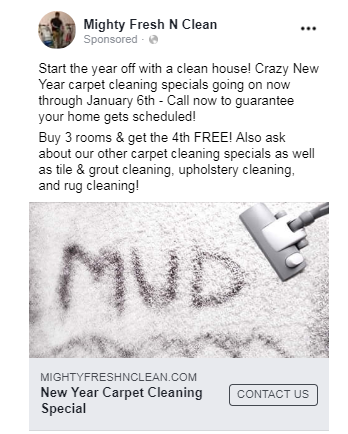 It’s easy to pass over this ad on a Newsfeed. Text is far too long. People won’t read this on their mobile Newsfeeds. 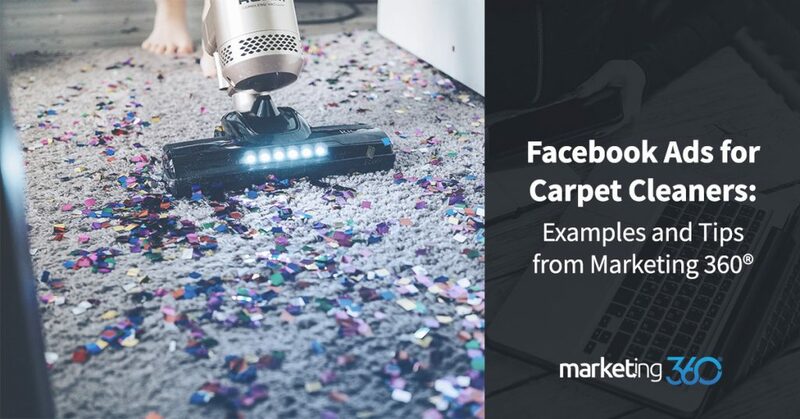 Remember that most people will be exposed to your Facebook carpet cleaner ads while browsing their Newsfeeds on the phones. This means you have to catch people’s attention as they’re thumbing through an endless scroll of fascinating, tantalizing, and personalized content. 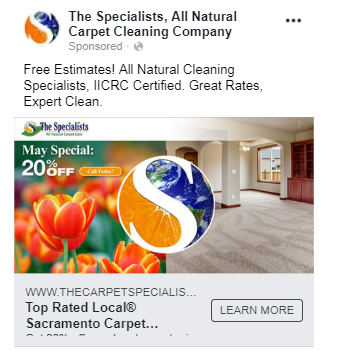 Of course, you’re targeting your ads so they only show to people with strong interest in getting their carpets cleaned. 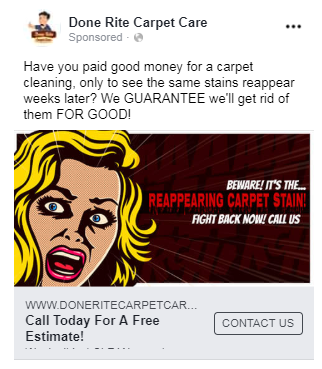 In fact, most carpet cleaning Facebook ad campaigns we run are retargeting ads built off website visit audience lists. Be sure of two things with your ads. Put people in your images. We’re all naturally drawn to human faces, and images of things like families and cute babies fit with other content in Newsfeeds. People automatically create an emotional appeal. Minimize text. Don’t explain the features of your carpet cleaning technology. Instead, have a short blurb that makes an emotional connection, has a clear offer and uses a strong call to action.